The color is very pretty. Nice for the price. 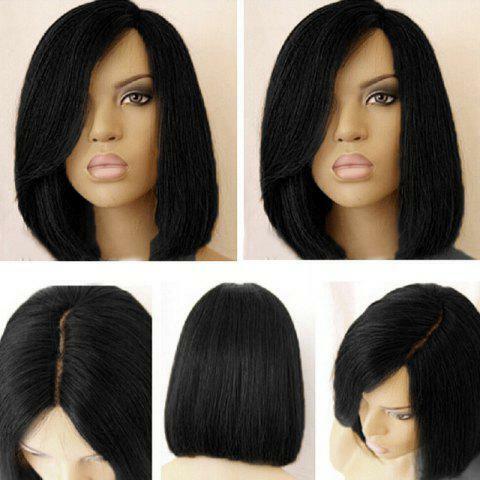 Q:Money came out of my account via Paypal for this wig, and yet I have no transaction on the wig. Could you please let me know what is happening? I can send you proof that the money was taken out. Awaiting your quick response. Q:Does it also part in the center like it is pictured. I don't part my hair on the left. You can part the wig by yourself. You can part in the center. Q:"WHEN WILL I RECEIVE MY PRODUCT? Q:Where do I enter the size needed? I must have a LARGE!! The wig is one size.